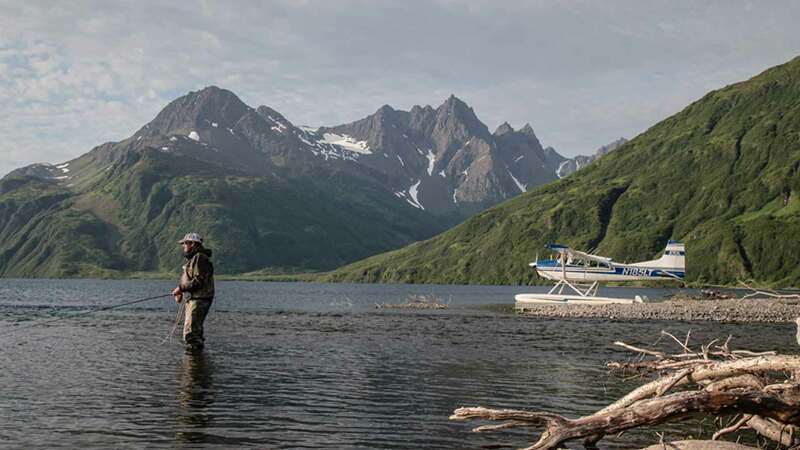 Fly and Spin fishing - Egdorf’s is a floatplane only-in, remote trip in Western Alaska’s Bristol Bay region. 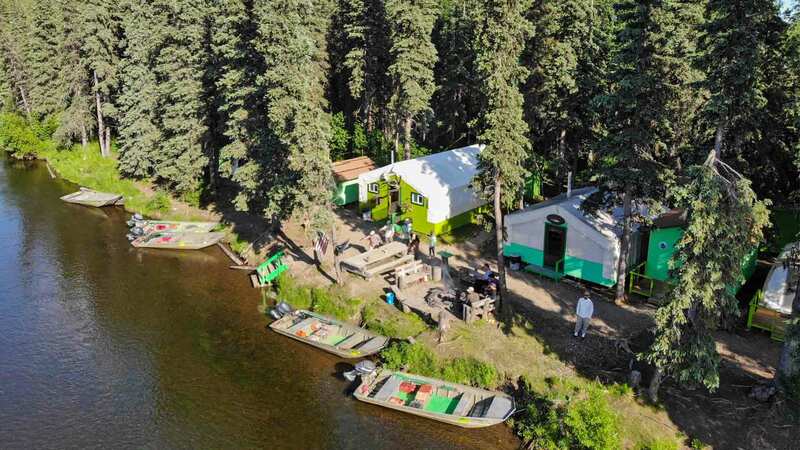 Dave and Kim Egdorf's camp is located on the banks of the upper Nushagak River, 250 miles from saltwater, in a breathtaking wilderness setting. This trip is remote--there are no roads within 100 miles, and the nearest habitation is an Eskimo village 60 air miles away. 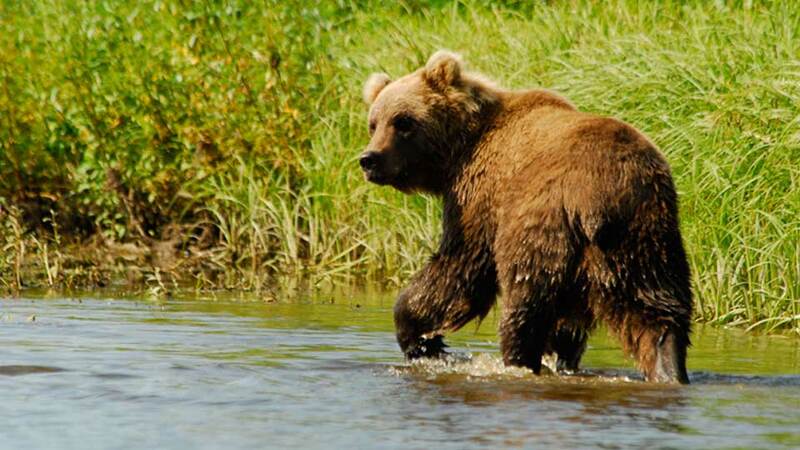 Wildlife abounds here, with numerous weekly sightings of moose, grizzly bear, eagles, and more. 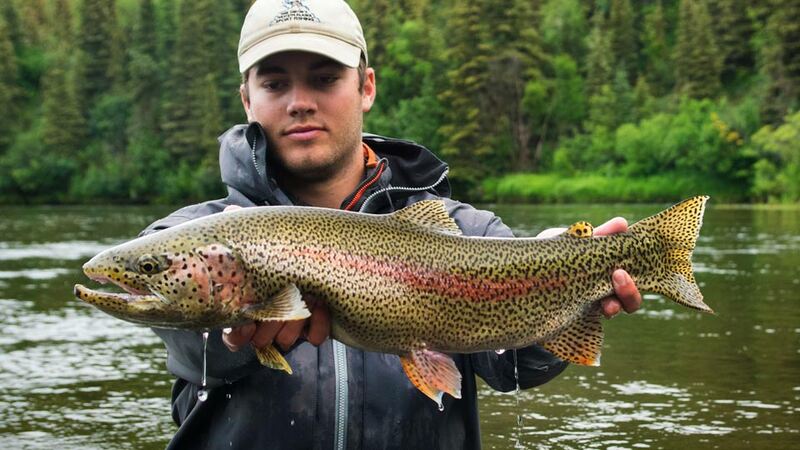 Egdorf's is an excellent trip for beginning fly anglers because you’ll get so many opportunities to hook and fight big numbers of rainbows, dollies, and grayling. Plus, the guides are excellent instructors. 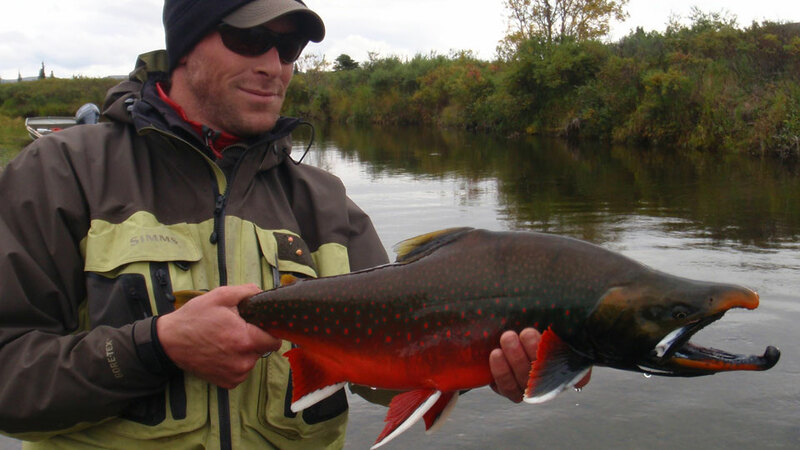 The Nushagak is a vast spawning bed with a gravel-bottom, clear running, modest-sized river. 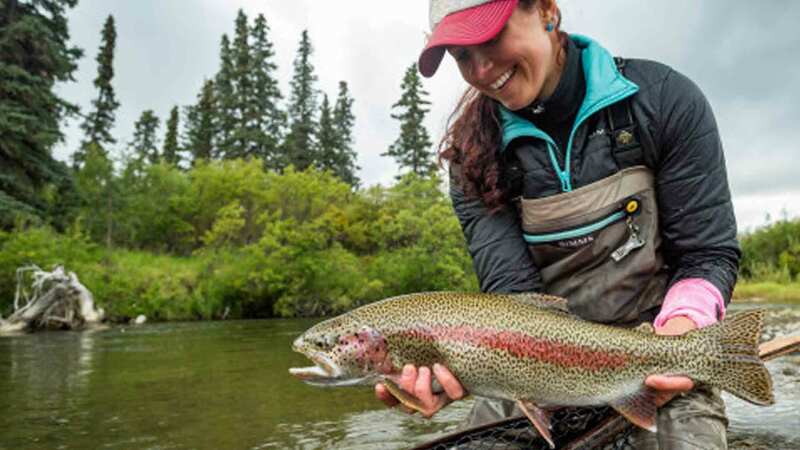 The Nushagak River produces an annual smorgasbord of protein-rich salmon eggs that supports the resident fish population, and an ideal habitat for spawning salmon, rainbow trout, Arctic grayling, and dollies. For the most part, you’ll have the Nushagak to yourself. Some days begin with fishing/drifting right from camp while other days, you’ll run up to 20 miles upriver or downriver. You’ll also explore braids and creeks. Catch-and-release fishing only. As in any fishery, sustained heavy rainfall can cause the river to discolor, but this scenario is on average, not a great concern. 2019 season: June 13 through September 12. Boats: 18’ Lowe flat-bottom boats with 30, 35, and 40-h.p. two-stroke engines (reduced weight). You’ll fish areas by running to an area then drifting, rowing, walking or wading down the river. Boats are set up to fish one angler in the bow and one angler in the stern, with the guide on the oars. 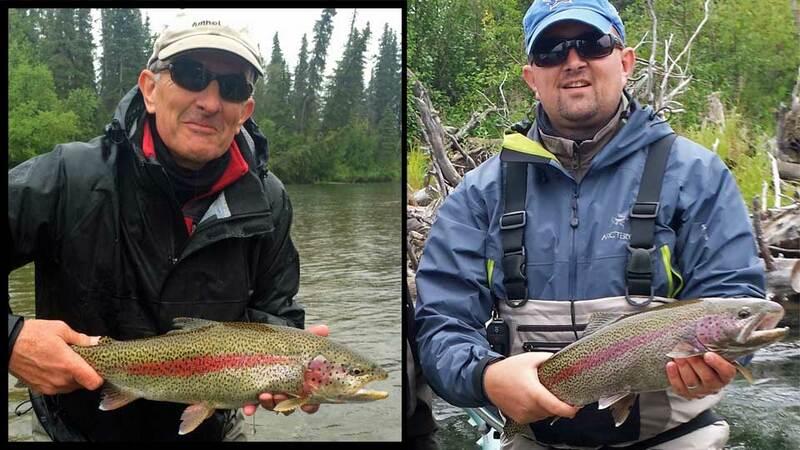 Guides: Hardworking, experienced guides who are also fly fishing instructors, and excellent jet boat operators. Rods and Reels: are not provided. 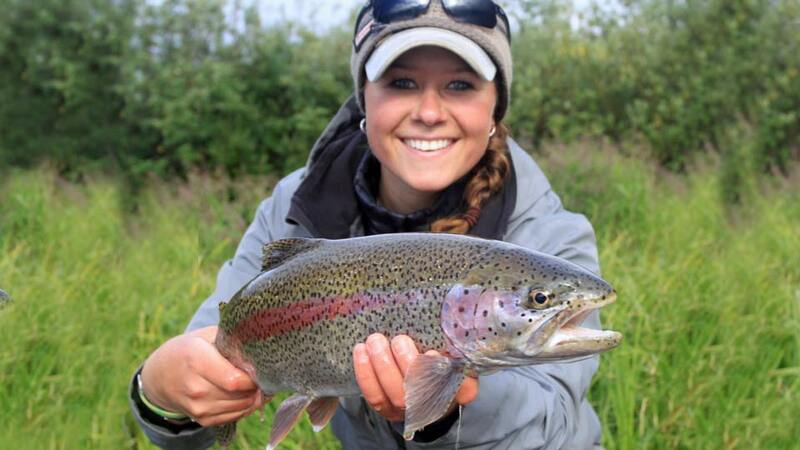 Fishing licenses: are not provided, but can be purchased online at Alaska Department of Fish and Game. Fly tying: The camp has fly tying materials for you to use. Spin Gear: Use of spinning gear, except for lures. Egdorf's camp is in an area called the Big Bend of the upper Nushagak River. 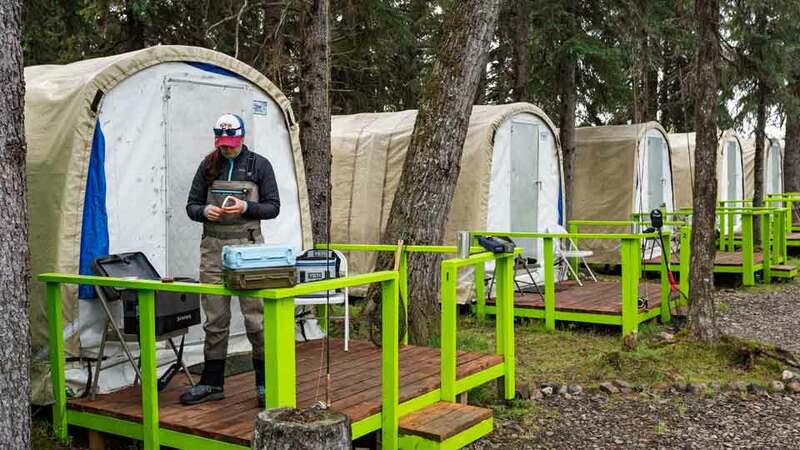 The camp best described as “rugged comfort” is very well laid out, and extremely scenic with lots of spruce trees. WeatherPort tents with hard, elevated floors, a front porch with rod rack and chairs, sleeping bags with a blanket that are changed out each week. Cabins are not heated. Hearty, chef-prepared meals are served in the wood-heated dining tent. There is a heated dressing/drying tent. 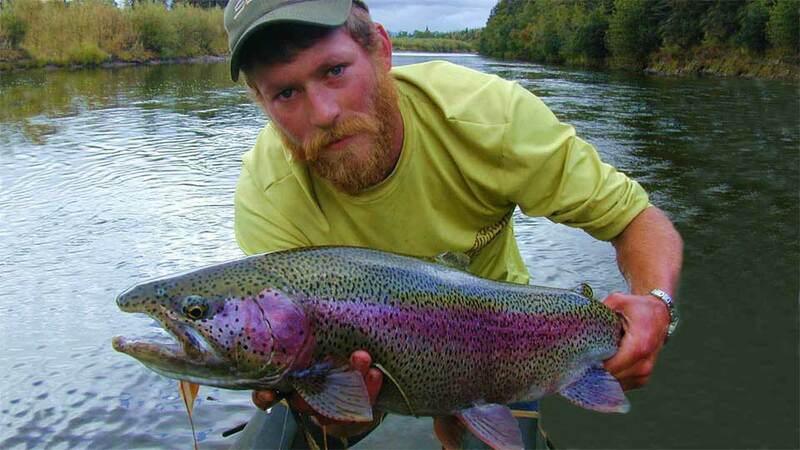 The camp accommodates six anglers. There are hot showers and chemical toilets. Communications: An emergency-use-only satellite phone and email capability are available on a limited basis. You’ll fly to Dillingham, Alaska, on a Wednesday. One hotel night is required and not included in the package - recommendations are listed in our confirmation packet. 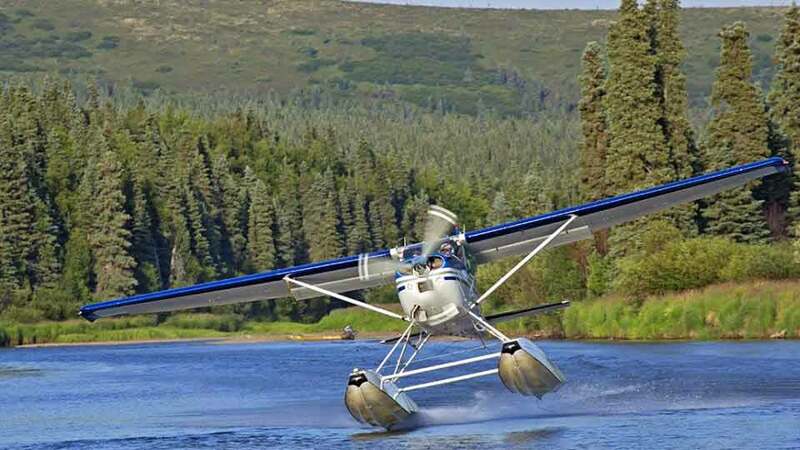 On Thursday morning, a lodge representative will meet you in Dillingham and then drive you about 20 miles in a van to Aleknagik Lake where Dave Egdorf’s floatplane is waiting. The owner Dave Egdorf, a pilot, will fly you to camp, a one-hour scenic flight. The floatplane flight is included in the package. There is a luggage weight limit of 50-pounds. 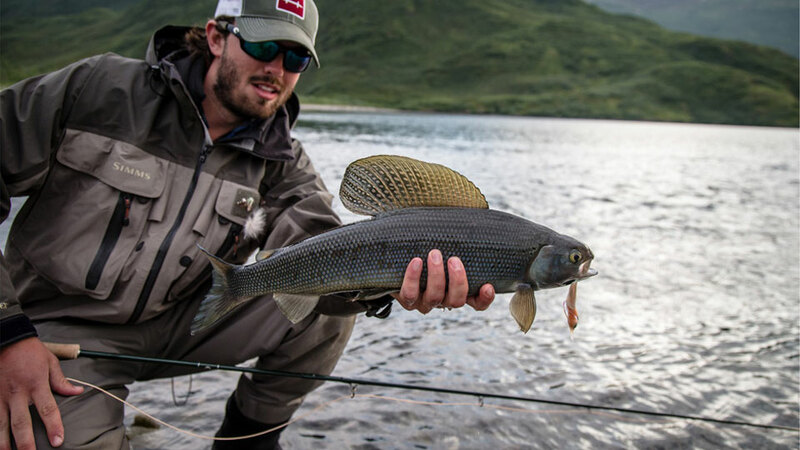 Roundtrip air transportation from Dillingham to Camp, all lodging and meals at camp, daily guided fishing, and use of spin gear (except for lures). Airfare, personal gear, tackle, flies, first and possibly last night’s stay in Dillingham, gratuities, fishing license, liquor, sodas, anything not mentioned under inclusions, and any expenses incurred due to weather delays. Extra charges at the Camp: sodas $4.00, a bottle of wine $30.00, beer $7.00 (cans), and $8.00 (bottles). Flies, lures, etc. are also available for purchase. Fly-out side trips: Bear viewing, flightseeing, fishing for ‘fresh’ salmon, sheefish, Arctic char, lake trout, northern pike, etc. You may also wish to visit Tikchik State Park, the largest state park in the United States. The fly-out side trips range from $150.00 to about $350.00 per person depending on what activity you want and how many are in the group. Group max is three anglers per trip. 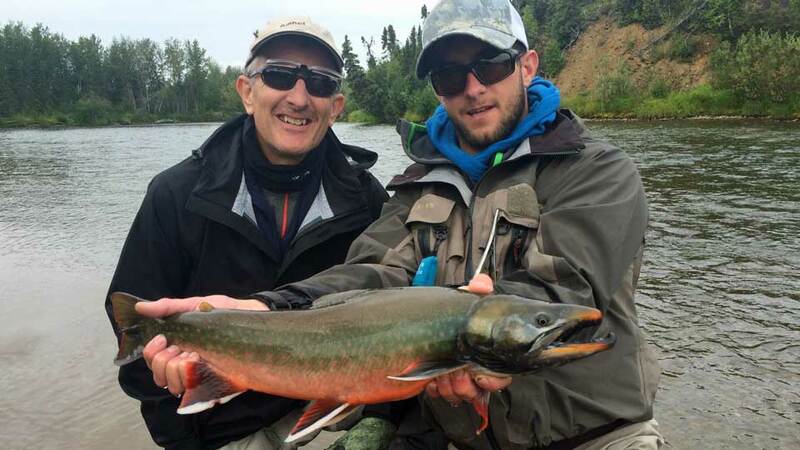 For example, a fairly close 50-mile trip (one way) for pike with three anglers would be about $150.00 per angler. 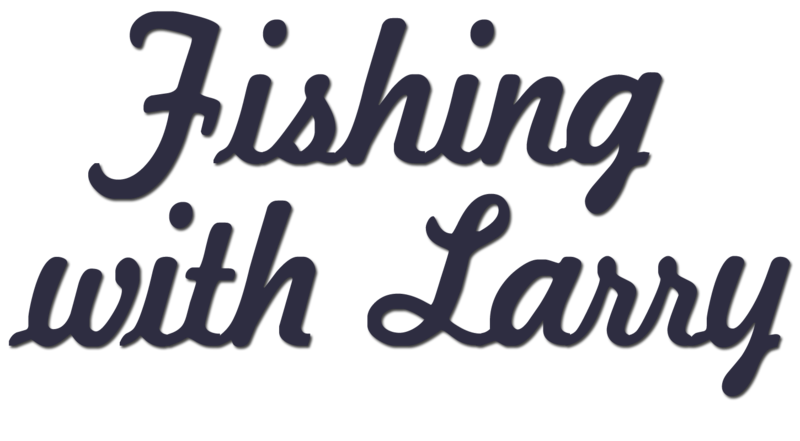 Whereas, a 100-mile trip (one-way) for king salmon or Arctic char would be about $350.00 per person and three anglers. Dave Egdorf works with guests to customize your side-trips to your desired experiences. Sometimes, you may have to wait a day for good weather. But, weather permitting there is a variety of wonderful outings to choose from. 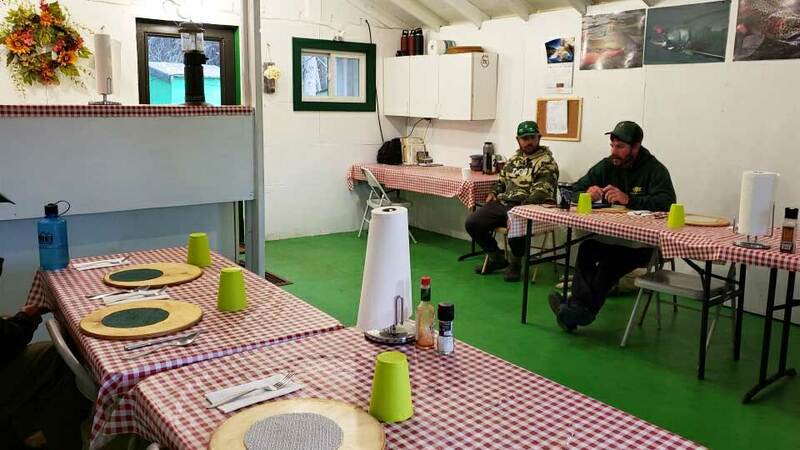 The Camp could prove to be somewhat dull for the non-angler, although an outdoor photographer would enjoy this experience. There is significant wildlife viewing, bird watching, and blueberry picking in season—not to mention, a vast wilderness with scenery galore. 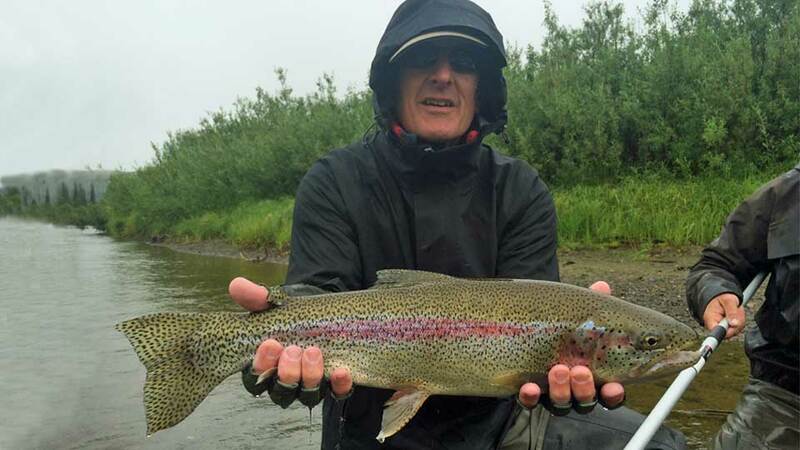 John Crocker with Nushagak rainbow.